Previously, in parts one through three of this series on Construction Estimating Software, I shared with you the critical importance of having a dynamically linkable takeoff, estimate, and proposal system that is powerful yet easy to use. Speed and accuracy of your Construction Estimating Software of course is important, but maximum profitability is attained through an effective step four…Client Project Management. Your entire construction estimating software management system, from your initial marketing efforts until your final analysis of your profit and loss statements should be coordinated to insure your construction estimating software bidding process is lightening fast, accurate, attractive and informative for your clients and your staff. On the front end, before the actual bid process begins, having implemented a proper marketing and business strategy in conjunction with a dynamically linked construction estimating software automated system will engage the gears of success to open the minds of your employees, your customers, and the suppliers that are associated with the company. With properly selected construction estimating software you will move your customers and your company from competitive to collaborative relationships. Do not look at the construction estimating software takeoff, estimating and proposal modules as an end unto itself. If you think of your new automation only as a more efficient way of doing your bids, you can seriously limit the impact that it can have on your bottom line profitability. If you buy hardware and construction estimating software without considering all of your business operational needs, you may be leaving a whole lot of money on the table. Think of your construction estimating software takeoff, estimating and proposal system as the heart of your operation, with the dynamic linking capability being the veins and arteries that, together, provides the necessary nutrition and oxygen to maintain a healthy company. But even the healthiest cardiovascular system in the world is ineffective without a sharp and functional brain and strong body, which are your construction estimating software marketing and business operational management procedures. Your approach to implementing, managing, and maintaining your client contact data, bid day requirements, submittals, scheduling, job costing, change orders, purchase orders, and historical data are as critical to your successes as selecting the proper construction estimating software takeoff, estimating and proposal systems. Spending time initially to properly structure and implement an effective marketing and business operational strategy, coupled with the right construction estimating software automation, will dramatically impact your profitability and bottom line. This winning combination can be the “Holy Grail” that everyone seeks to truly separate your business from the competition. It can elevate your company in the competitive arena while realizing the benefits and profitability of the construction estimating software collaborative bidding process. There are many cases where contractors have successfully developed and fine-tuned their dynamically linked automated construction estimating software marketing and business strategies increasing their pre-tax net profits from low, single-digit performance to high double-digits. Because of this, you should select Customer Relationship Modules (CRM’s) to integrate to your construction estimating software that allow you to keep an automated, steady flow of communication with your potential clients concerning all upcoming bid day requirements, changes in the prints and specifications. Of course, all modules should dynamically link to the actual construction estimating software takeoffs, estimate and final proposal to insure consistency and the elimination of errors. Programs should also be able to communicate with any ODBC or Window’s based system to import or export data according to your needs and requirements. Often times the procedures on the ‘back end’ of the construction estimating software bidding process are discounted or even forgotten. It is critically important that your software automation effectively tracks and manages the project after the bid is let. Properly doing so, can make the difference in making or loosing money on your construction estimating software bid. A few of the most important ‘back end’ processes would include construction estimating software change orders, purchase orders, RFQ’s, and job costing. Change orders should be able to track with the job, and should be able to be priced with any additional markups and/or special pricing requirements, without affecting the initial job assembly and items pricing. You should have a simple method to easily track the impact the construction estimating software change orders have on the job in comparison to the original job, and you should also be able to track all change orders independently of each other. Your construction estimating software purchase orders and RFQ’s should be able to dynamically link to your supplier database, and should be able to be sent out and stored electronically. Being able to email or electronically fax any of your purchase orders, quote requests, or any client correspondence and management reports, should be a major requirement. Response times will be shortened dramatically, and because of the linking of data within your construction estimating software system, errors can be eliminated. Your construction estimating software job cost tracking interface module should be extremely simple and easy to use to insure that your personnel will be willing to input data faithfully. The job-costing program should have a simple method for you to review daily the status of the job, the percentage of completion, possible overrun issues and cost. The construction estimating software historical data that can be accessed is an invaluable tool for future estimating and profitability maximization. For this reason, your construction estimating software automation should allow you to electronically pre-store in an infinite set of files, details and prints, city, county, state and federal requirements, photographs, and any other electronic information that would be germane to your construction estimating software estimates and bids. should allow you to instantly dynamically link this data to any of your construction estimating software client correspondence. All of this information can then be retrievable and easily used by your sales force, your estimating and bid group, as well as your project managers and support personnel. If you want a network system, your construction estimating software data should be able to be accessible via your server, a wide area network or the Internet. Success with construction estimating software automation is really about people and the commitment to do things better, faster, easier, and more accurate. A system must be built on the foundation that recognizes that people need to crawl before they walk, and walk before they run, and run before they fly. The construction estimating software system has to be simple yet powerful, fast but extremely accurate, and flexible yet thorough. It must also be customizable to meet the needs and methodologies of your company. Used properly, it can also become a key vehicle for cementing the relationships with your client to insure future business. Remember, construction estimating software automation is no different than any of the other tools that you utilize in your business. Properly implemented, it will take your business to new heights and distinguish your company from your competition. Actually, there is one more critical step to success…YOU! I will end with this challenge to a bright new future that I have used now for over 30 years in providing construction estimating software solutions to individuals…Automate, or Evaporate! Selecting the best construction estimating software is the answer. © Copyright 2008 Phillip Gilliam All rights reserved. This article, 8 Key Steps to Win Bids with Construction Estimating Software, has been posted on our website Discover Construction Estimating Software to help people to know more about construction estimating software and the proper application of construction estimating software. 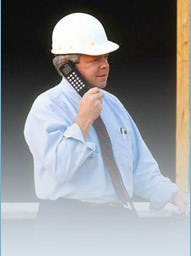 We at Discover Construction Estimating Software being in the business of construction estimating software wish to educate and instruct individuals in the construction estimating business how to select, implement and use construction estimating software, and while we do hope that people coming to our website Discover Construction Estimating Software will use our Discover Construction Estimating Software, we realize that some will select one of our competitors construction estimating software and we are fine with that fact. While we do not expect everyone to purchase our construction estimating software, and while we are happy for everyone to read any of our articles on construction estimating software or construction estimating in general, we do not authorize reproduction 8 Key Steps to Win Bids with Construction Estimating Software or any of our other article on construction estimating software or construction estimating without our direct written consent to do so. If you wish to use 8 Key Steps to Win Bids with Construction Estimating Software or any of our other construction estimating software or construction estimating articles, please contact Phillip Gilliam at 727-559-0161 or write to him at phil@easyestimating.com for his written permission to do so. Any reproduction of 8 Key Steps to Win Bids with Construction Estimating Software or any of our other articles on construction estimating software or construction estimating without his written permission is strictly forbidden and is punishable by copyright law.